Autumn feelings. Michael McCarthy would say: The sights, sounds and smells of autumn stir the soul, but delight is mixed with melancholy"
It is the time that those endless shades of green shift softly into a palette of warm colours. Terracotta, burgundy, purple, golden yellow, bronze. Autumn has a peculiar personality of its own which is powerfully attractive. It is a time to get out and enjoy the last rays of sun which can warm your skin, to hear the crisp sound of dried leaves under our feet, to go for a walk on a foggy morning, the smoke of wood fire that drifts to our nostrils. Sitting on your porch, in your garden or walking in the woods: you can feel the calmness of autumn. Watching the leaves fall of the trees, can have the same effect as watching the waves of the sea during summer: it can clear your mind and bring quite contentment. Gather with friends around the bonfire. 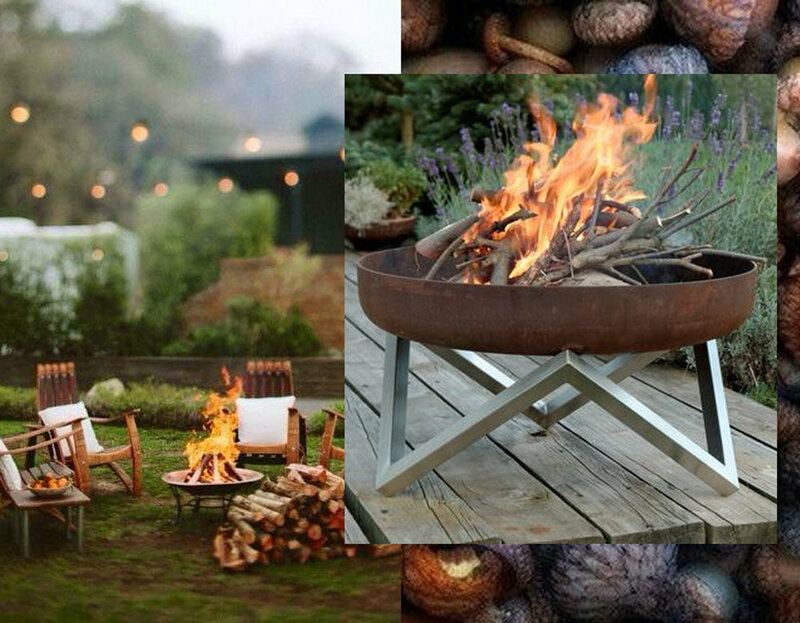 A fire pit will add warmth and ambiance outdoors. Autumn is the time to enjoy still the outdoors, or to start doing some things you didn't wanted to do inside of the house during the summer months. Enjoy to make or fix things yourself, or start the self-made adventure by reading the Kaufmann Mercantile Guide. Tips and tricks for the kitchen, gardening, taking care of your tools and much more. Perfect reading on a rainy Sunday. Collecting wood and storing it for winter, outside or in the house, close to the fire place. It can be a part of the autumn decoration. Mist, smoke and frost. Is the time to cut the wood and get it inside so you can enjoy a relaxing evening around the open fire. It is the time for hiking up the mountains, biking down the streets, running on trails, jumping in rivers. 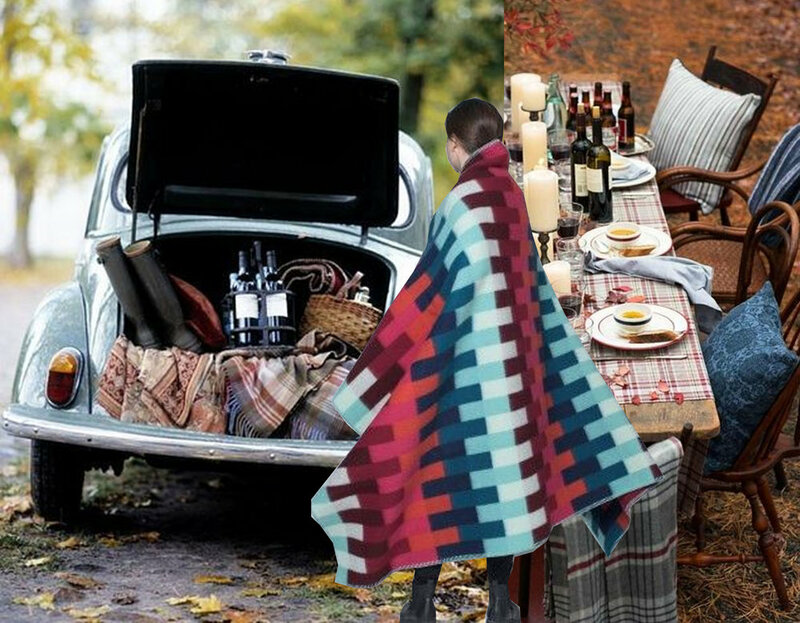 And why not: a last picnic in nature or a Sunday lunch in the garden. Get out all your throws, wool blankets will keep you warm. You can enjoy the earthy taste of the mushrooms, roasted chestnuts or a cheese plate with a glass of wine. It is the time of transition, to switch your outdoor time for lounging in front of the fire place. You can bring the autumn feeling quickly inside by trading out pillows. Opt for plaids with deep hues to add the autumnal vibe. Place the throws on the couch or armchair, beside keeping you warm they will create a nice ambiance. Other cozy textures to add in your home could be faux fur and velvet. Autumn flies by in no-time, so take advantage of every moment you can spend still outdoor in the crisp weather. It is the perfect season to revisit the great outdoors and fall in love with nature again. Enjoy it with a list of fun things to do. Apple picking in the local orchard could be one of them. There is nothing like the fresh taste of fruit picked by your own hands. And all that with the idea to sip warm apple cidre on the porch later. make a walk and hear the swishing of kicked leaves and their crunch underfoot. Get out in the nature and enjoy!